There is a number of companies that would try to push the envelope by offering products with features beyond the ordinary. Some succeed by paying regard to practicality, but others result in disconnect due to the struggle to consider arguably the most primal factor of product development—ergonomics. Ergonomics is the science and practice of integrating comfort in the design process. It treads along the delicate arch of human contour and the overall user-friendly experience. Amidst the noise and traffic, global technology trailblazer LG Electronics throws out a game changer by combining art and functionality in their innovative line-up of curved gadgets tailor-made to suit the complex human mechanism. “In recent years, the role of function in technology has been significantly enhanced by its cosmetic counterpart. We are excited to showcase such offerings at the 2015 Mobile World Congress in Barcelona, Spain. It will be a great opportunity for consumers to witness firsthand the superior and well-rounded LG experience through our stylish and practical products,” said LG Philippines Managing Director Mr. Sung Woo Nam. 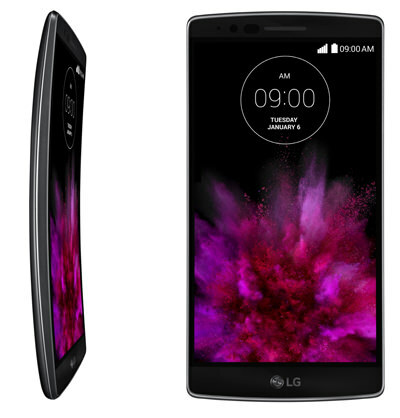 The LG G Flex 2 is a cutting-edge curved smartphone with every aspect engineered to adapt to the user’s needs. This multi-awarded model features a seamless integration of form and substance that includes a sleek design, self-healing back panel coating, stunning 5.5-inch P-OLED capacitive touch-screen, heavy duty processor, ultra fast-charging 3,000 mAh flexible battery, and impressive 13-megapixel rear camera with Laser Auto-Focus. A more compact and refined version of its predecessor, the LG G Flex 2 is a radiant fusion of style, performance and design. The LG Curved OLED TV likewise ushers in the future of television with its enhanced curved design that lets viewers immerse in a striking reality like never before. Vibrant hues and colors are made even more brilliant by its revolutionary flexure that mirrors the natural shape of human vision. The 65-inch work of art renders ordinary images into a holistic 3D experience with its advanced 4K technology. LG has flawlessly merged together design and quality through its smart features such as the intuitive webOS user interface, Dual Play and the Magic Remote that lets users conveniently point, click, scroll and even speak exactly what they want. Rounding up the remarkable lot is the LG Watch Urbane, the luxury smartwatch that marries timeless elegance with the latest wearable technology. This fashionable LTE-capable device sports a fully circular 1.3-inch P-OLED display, 1.2GHz Snapdragon 400 CPU and 4GB internal storage and fits perfectly with any style and personality. The accessory lets users sync their calendars, track the weather and get real time social media updates. It also offers GPS location sharing, foreign speech translation and walkie-talkie-style voice chats. “We want everyone to know that creating innovations that are both beautiful and practical is possible. LG not only revolutionizes design but also enhances functionality and user experience,” said Mr. Nam.